Hanzhi Wang | NIGHTMAYER: AN ACCORDION CONCERT? REALLY? REALLY. NIGHTMAYER: AN ACCORDION CONCERT? REALLY? REALLY. AN ACCORDION CONCERT? REALLY? REALLY? OCT. 23, 2018—We should have known to trust Young Concert Artists. Now in its 58th year introducing young classical musicians and vocalists, most of the artists have both technique and character. Occasionally, we’ve heard someone who was technically excellent without connecting emotionally with the music. But a classical accordion player? What has history led us to expect? Astor Piazzolla was the exception; Lawrence Welk sticks in more memories. Hanzhi Wang, who made her NYC debut last night at Carnegie's Zankel Hall, was a delightful surprise, no fretting warranted. From the opening Bach Partita in C-minor (see an earlier performance here) through to pieces written for her by Danish composer Martin Lohse, whose work is at the heart of her first LP (listen on Spotify here), and Sophia Gubaidulina, this was a musician of stunning skill and heart. Hanzhi's bio says nothing of how she came to be enamored of this instrument or music, studying as she did in her native China, then in Denmark. But her soul is clearly born to it. Mind you, I had to take a nap after every accordion lesson — the instrument was almost as big as I was at 10. My last “performance” was 20 years ago, arriving at friends’ New Year's Eve party scratching out Auld Lang Syne. 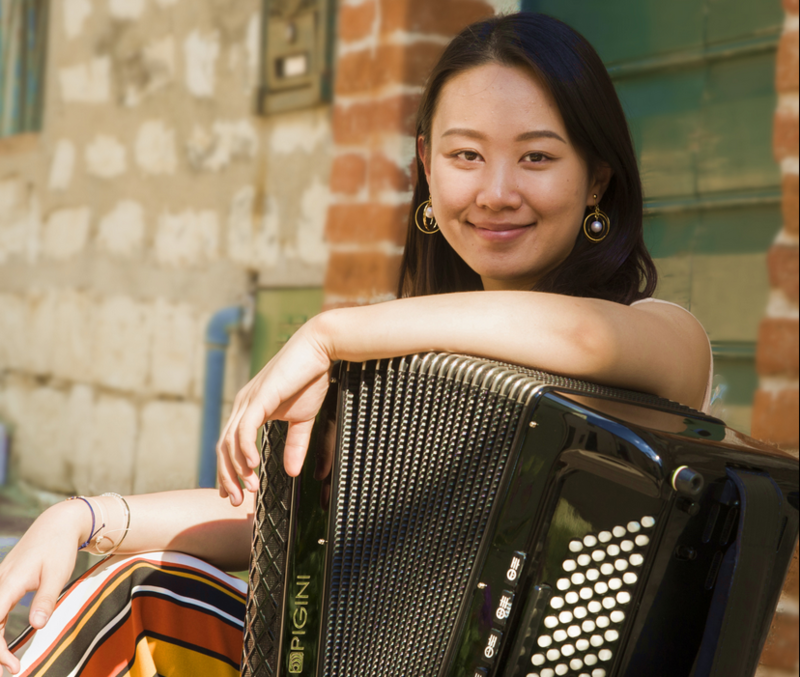 Hanzhi Wang, in her 20s, takes the instrument — and her listeners — to fresh depths.